Although the development has not been carried out continuously in the last year, in this moment it’s in an advanced enough state to begin to show progress. Welcome to a new world! Finally, terrestrials were able to colonize a new planet, full of deposits of Newnergy, a valuable new energy source that feeds the human colonies. But the deposites are scattered throughout the planet and the path between them and the camps, full of dangerous aliens. Find allies who accompany you on your mission and carry Newnergy from a colony to another, avoiding all aliens you meet on the road. Get ready for a endless barrage of lasers! 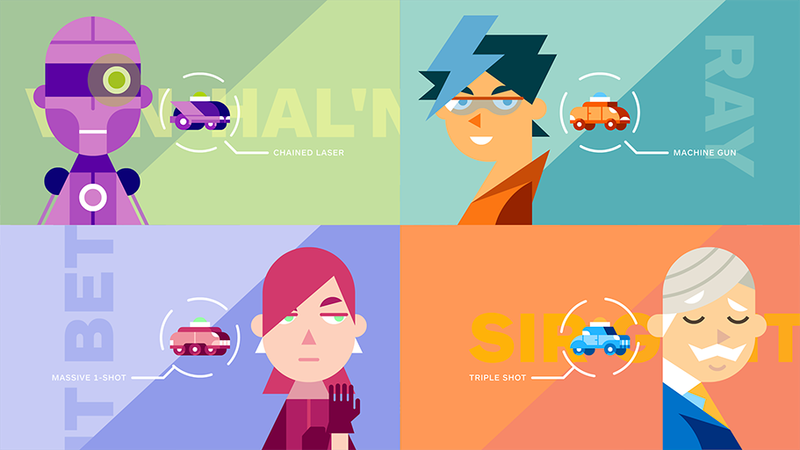 Conceptual summary: Tripl3Squad is an action game in which you control a convoy of three vehicles on the surface of a distant planet. The game runs through auto-scroll. The vehicles are constantly moving and shooting. 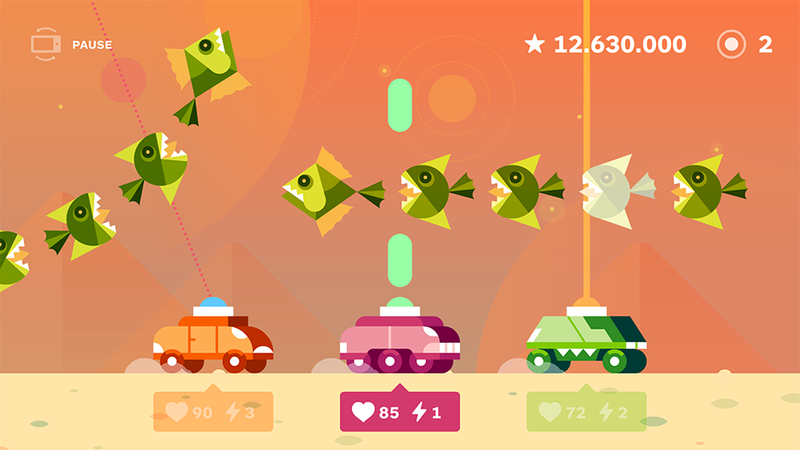 The player can choose which vehicles to use in the game and what type of shot to use with each one. And it has control over two elements: 1) the position of the vehicle within the squad and 2) the direction (or other properties) of the attacks for each of them. 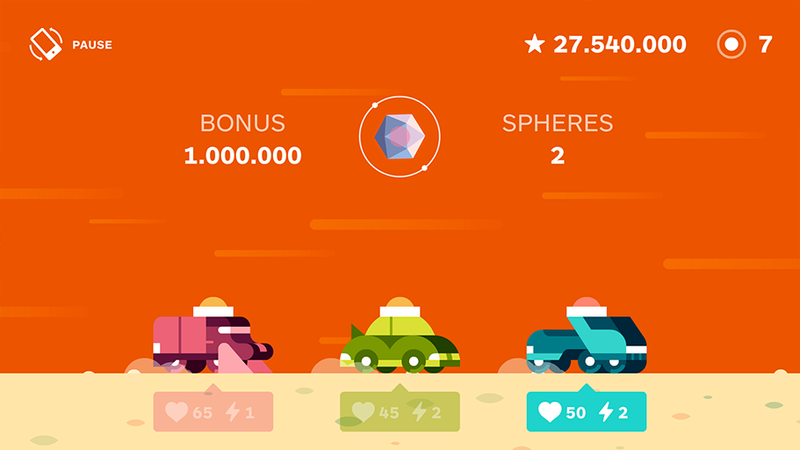 The aim is to achieve as many points and bonuses before all vehicles are destroyed. 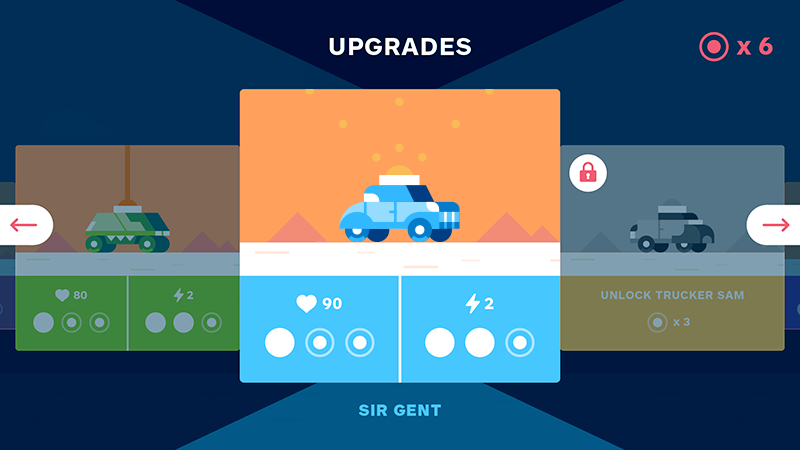 The games are short and intense and the advances in score allow us to make upgrades for each vehicle (in strength and firepower) or unlock certain items such as additional vehicles or other game elements. Above: upgrading system detail (beta). Click on the image to see it in movement. Above: modifying the firing angle of an in-game vehicle. Here are some visuals related to the first game area developed, an alien desert environment rife with hostile creatures. Currently, we are working on a prototype. Almost a vertical slice, where we can select the vehicles, their shot types and make full games on one area. Obviously, many details will require considerable polish, including the overall balance of the game itself. The future of the project will depend on several things, but our plans include publishing the game for iOS and Android, both smartphones and tablets and toss with a number of unlockable vehicles, a limited number of shooting types and various game areas, to provide the necessary diversity. Improvements and modifications in the experience: atmospheric effects, terrain changes affecting the player, introduction of items, etc. The final business model will determine how you have access to new unlockable content. At this time, the whole structure of the game is dirigible to both a premium and a free to play model. And here we present a short video presentation where you can see all of the above in action. 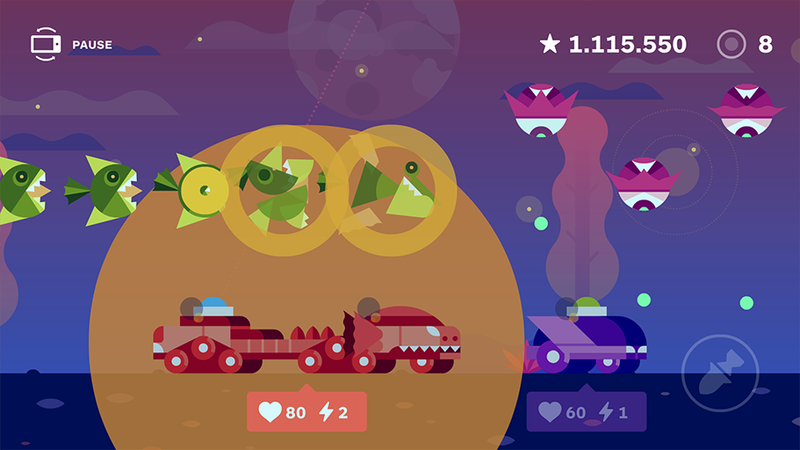 Everything shown in the video can be quite modified as the project progresses, but the gameplay is defined. The sound effects and the fantastic music of the trailer were created by Red Forge (Elias Fraguas + Alberto Rojas), responsible among other projects of the recent OST for Santa Clara Games’ 8Days. We believe it fits with the general mood of the game: simple, abstract, synthetic and with an alien vibe. We hope we can count on them for the entire project, as development progresses. We invite you to visit their profile on Bandcamp. And that’s all for now. In some weeks we’ll provide more information about the project and its evolution, aiming to be more visible in the coming months. Thank you for being on the other side!